In a market where customers look to save money through offers, incentives, discounts and promotions, coupons remain an effective means of enticing your audience into action. With the widespread use of smart phone technology, a new and profound way to identify your target market’s preference is emerging. Mobile coupons offer a fast, easy way to engage customers and encourage brand loyalty. According to a recent report by Business Insider, the number of mobile coupon users is expected to increase to 53.2 million by 2014. 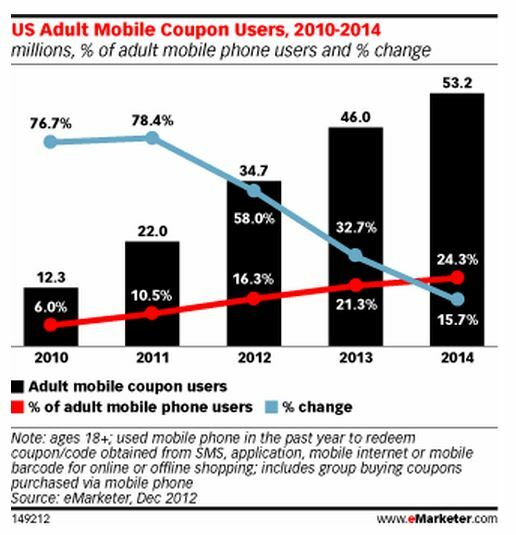 Given that 5 billion coupons were delivered in 2012, and that number has doubled in 2013, the rise of mobile coupons is quickly becoming one of the most used marketing techniques. What is the Attraction of Mobile Coupons? Reach customers with relevant offers at the right time. Sometimes timing is everything. And being at the right place at the right time with an incentive to buy something through a promotional offer or discount via a mobile coupon might mean the difference between getting the sale and not getting the sale. Take advantage of dayparting. By breaking the day down into different time periods, mobile coupons can be used effectively by targeting customers with specific deals at specific times of the day. An offer to buy a sandwich at a 50% discount with the purchase of another sandwich can be targeted to a lunch market more effectively at 11 am versus 8 pm. It is estimated that more than 367 billion coupons are printed each year, while more than 99% of those coupons are never redeemed (PRWeb, 2013). The sheer waste of the printed paper amounts to the destruction of more than 13.6 million trees, enough paper to fill New York City’s Central Park twice over (Business Insider). 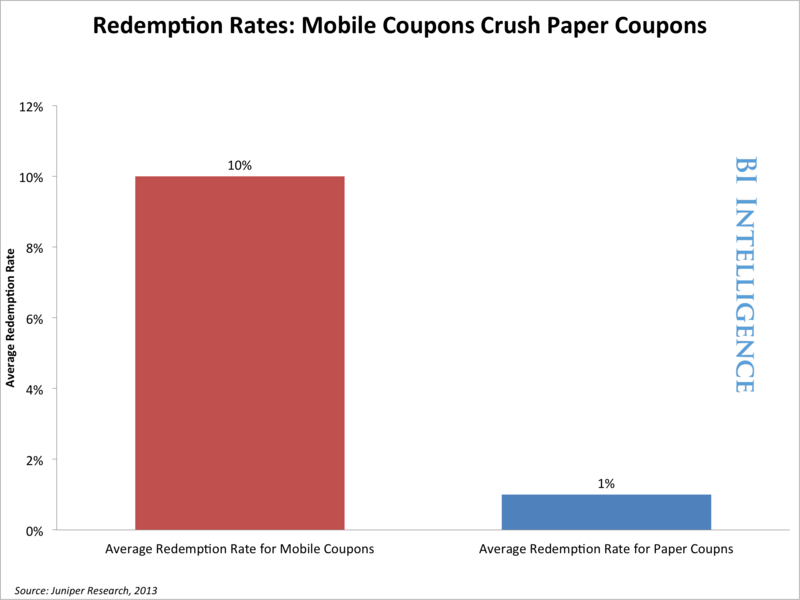 In contrast, mobile coupons waste no paper and currently have a 10% redemption rate; this number is expected to grow due to current technology that allows marketers to target to a very specific audience (Business Insider). While both print coupons and mobile coupons have the same goal of attracting customers and enticing them with offers they cannot refuse, modern technology advances mobile coupons over print coupons, with the promise of a more defined solution and more identifiable results. Have you begun using mobile coupons? Tell us in the comments below.